Discovery Complex locates at 302 Cau Giay street, Cau Giay district, Hanoi. It has a convenient location which is near several parks, hospital, schools and Indochina shopping mall. Moreover, the apartment building is one stop of Hanoi Metro railway system. Discovery Complex has 1 apartment building of 54 floors, 1 office building of 43 floors and 8 floors of shopping mall. Services and facilities at Discovery Complex: shopping mall, swimming pool, fitness center, spa, kindergarten, etc. 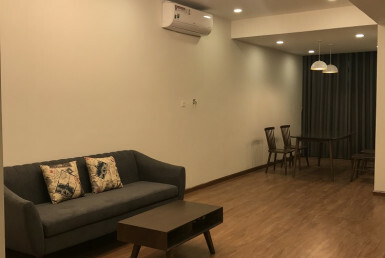 Discovery Complex apartments are suitable for businessmen and foreigners living and working in Hanoi.